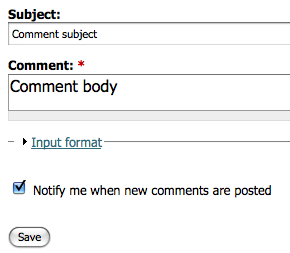 Drupal comment_notify logger improved | ..:: JOCHEN HEBBRECHT ::..
Christophe told me it wasn't possible to receive notification mails on comments you posted on my website. He was right, because I had a problem with permissions. But after configuring the permissions, Christophe was still complaining ;-)! While debugging the code, every mail was received correctly. So it seems to be working "sometimes" ... I haven't figured out what's going wrong here.